With 15 million album sales and three Grammy Awards under his belt, you’d think it might be easy for Seal to make a successful album. Yet since the mid-1990s his popularity dramatically waned, with even the super contemporary Jacques Lu Cont produced System last year failing to make much of a mark. Thus Seal has decided to return to his self-declared roots with his sixth album, the simply titled Soul – a collection of classic songs, produced by legendary Canadian producer David Foster, best known for his work with Celine Dion. Entirely a covers album, it features the work of Sam Cooke, Al Green, Otis Reading and James Brown to name but a few, and here enlies the problem. Choosing such definitive songs, and performing them, on the whole, with such a loyalty to the original recordings, simply makes us want to listen to those originals. Sure, there may be some novelty value the first time you hear a man sing Ann Peebles’ glorious I Can’t Stand The Rain or Deniece Williams’ enchanting Free but a faithful cover of If You Don’t Know Me By Now leaves us reaching for the Harold Melvin and the Bluenotes original, or at very worst Simply Red. Cover albums always face this risk, but Seal could have done with taking a leaf out of George Michael’s Songs From The Last Century album and finding some brilliant, but lesser known songs to scatter through the album. 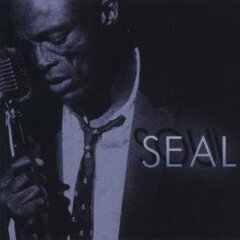 Though there’s no doubt that Seal has a great voice, perfectly designed for singing soul music, ultimately Soul feels a touch too smooth. In his day Seal was an innovator – constantly pushing the genre boundaries of r ‘n’ b & dance music – but now we’re left hoping he finds some of that magic that seems to have been lost along the way. As the owner of possibly the sexiest voice in music, John Legend has got it going on. Now releasing his third album shows that he’s lost none of the magic that gave his debut, Get Lifted, such crossover appeal. Here in the UK, we’ve now got a special soft spot for John thanks to him signing Estelle and transforming her into a superstar. She returns the favour by lending her vocals to the reggae tinged ‘No Other Love’. 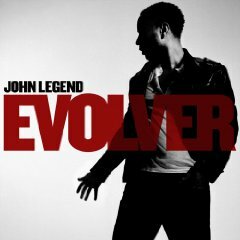 Being John Legend, it’s not hard to attract guest stars, but we’re impressed that Evolver manages to avoid overcomplicating with so many ‘featurings’ that the main artist is relegated to second place. The other chosen two are Andre 3000, throwing a futuristic spanner into the unusually upbeat Green Light and a vocoded Kanye helping him ditch his lady in We’re Over. Impressive. Confirming his position as an elegant ladies’ man, the dreamy Good Morning leaves us feeling that we couldn’t turn down any request made by this man. His seductive qualities are further cemented as he tries to turn his best friend into his lover in Cross The Line, begging her to stop, ”dancing ’round the moment”. It’s not all love and ladies though – a fierce Obama campaigner, the album ends on an epic note with If You’re Out There. Originally performed at a Democratic convention, John rallies his listeners to change the future and, ”stand up and say it loud”. Although we might miss the piano solos that made songs like Ordinary People such classic show stoppers, Evolver is a colourful burst of soul. Packed with incredible melodies and exquisite arrangements it’s yet another step to further confirm Legend as one of the most talented songwriters of the moment. Decades after her peak, and in fact 10 years since her last studio album, Chaka Khan is back, ready to belt out a whole host of new songs. She may sound as amazing as ever, but is Funk This really the album we’ve all been waiting for?